627 S. W. Deschutes Ave. 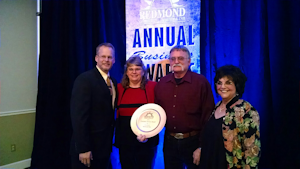 Proudly being honored at the Chamber of Commerce 2016 Awards Banquet with the CUSTOMER SERVICE of the year award. 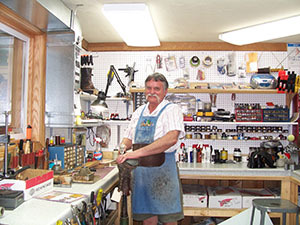 Locally owned and operated by Jerry and Lori McCabe (with much help from Carl and Donna Surface). For 60 some years our place of business was located on 6th Street. It was time for a change so in April of 2011 we moved to our new home located at 627 S W Deschutes Ave which is pictured above. Like our business, our new home is a well known Redmond landmark, located just 1/2 block east from the Redmond Police Department. 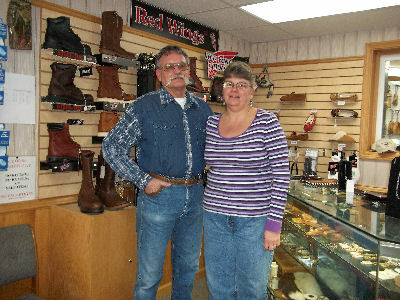 As well as taking pride in doing quality boot and shoe repair, we are also very proud to serve Central Oregon with quality work boots and shoes from Red Wing. 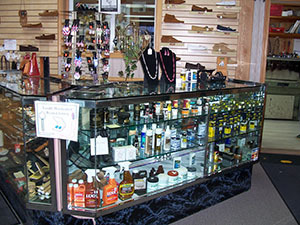 We also carry a large selection of Birkenstock shoes and Minnetonka Moccasins. 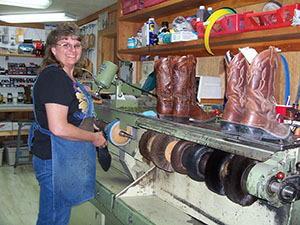 We are committed to doing quality repair, selling quality boots and shoes and carrying a large variety of footwear accessories and supplies to keep your footwear looking and performing at its best. Our store hours are Monday through Friday from 8:30 a.m. til 5:00 p.m.